The trade spate between China and the U.S. is escalating and fears of the ongoing trade war has spilled over to European markets as investors pulled billions of dollars from European ETFs. For example, the iShares MSCI EMU ETF (NYSEArca: EZU) was among the most hated ETF plays over the past month, experiencing $1.4 billion in net outflows. Billions have been withdrawn from European equity and bond funds on concerns that trade frictions could tie down an already fragile economic recovery in a region reliant on international trade, the Wall Street Journal reports. “Europe is very sensitive to trade and to the global economy,” Thomas Costerg, economist at Pictet Wealth Management, told the WSJ. “Europe is always caught in the crossfire,” and always suffers more when there is a hit to global growth. According to data from the European Central Bank, goods and services exports account for 27% of the euro region’s gross domestic product, compared to just 12% for the U.S. Observers worry that a prolonged U.S.-China scuffle could cause a direct hit on a still-fragile economy in Europe, especially since the U.S. and China make up Europe’s biggest export markets and the Eurozone area has already been drawn directly into the confrontation. 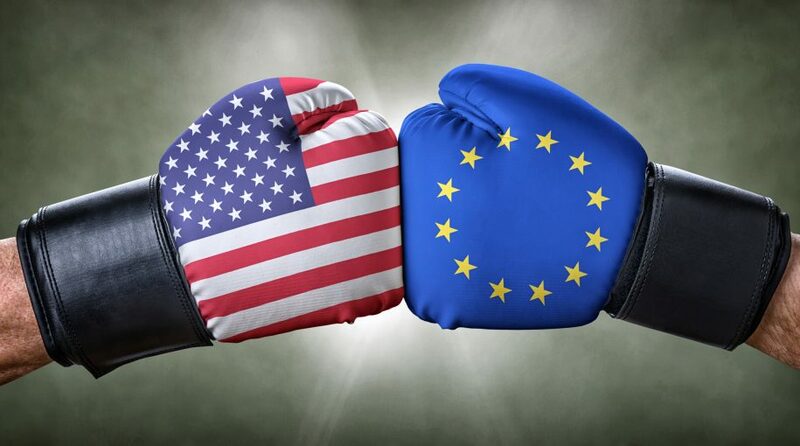 The U.S. already placed tariffs on European steel and aluminum, and the European Union has responded with tariffs on many U.S. products, with Harley-Davidson motorcycles and bourbon among the most prominent products on the hit list.